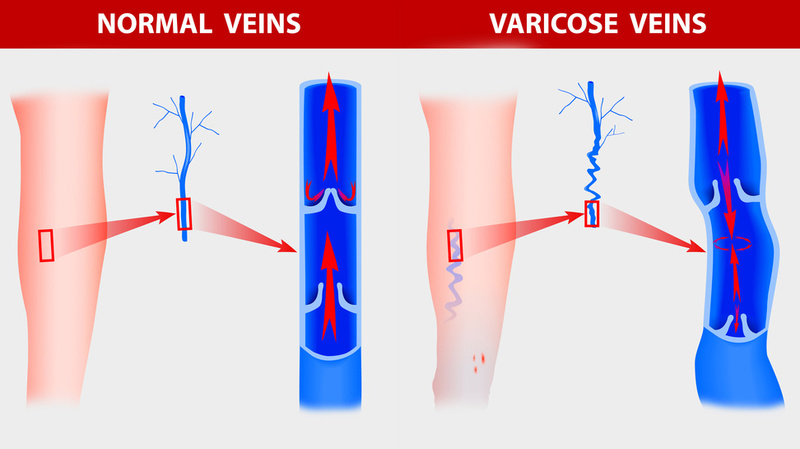 Varicose veins are large, twisted bulging blood vessels seen on the surface of the skin. Common sites of varicose veins include the insides of the legs and backs of the calves. About 15-25 percent of all adults have varicose veins and 50 percent of persons aged 50 and older. For some of us varicose veins are simply a cosmetic concern. For others, they cause more serious and unpleasant discomfort, significant pain and ulcers. The anatomy of the leg veins is similar to the root system on a plant. There are small hair-like roots out at the very ends of the plant that take in the water. These then drain into medium sized roots and then into large branches and finally into the main stem. The same is true of leg veins. Small microscopic veins called venules collect the deoxygenated blood that has been “used up” and drains into medium sized veins and then into large branches and finally into the main stems. There are two main stems in each leg. They are the greater saphenous and lesser saphenous veins. The leg has two separate vein systems. The superficial vein system is just under the skin and is the one that can become varicose. The deep system is down near the bone and very rarely has varicose problems. Veins rely on one-way valves to keep the blood moving uphill to your heart against gravity. Tiny one-way valves in your veins open as the blood flows toward your heart and close to stop the blood from flowing backwards. Varicose veins usually appear after the age of 30 and can become progressively worse. This condition is often hereditary, and women are more likely than men to have them – due to hormonal changes during pregnancy and menopause. 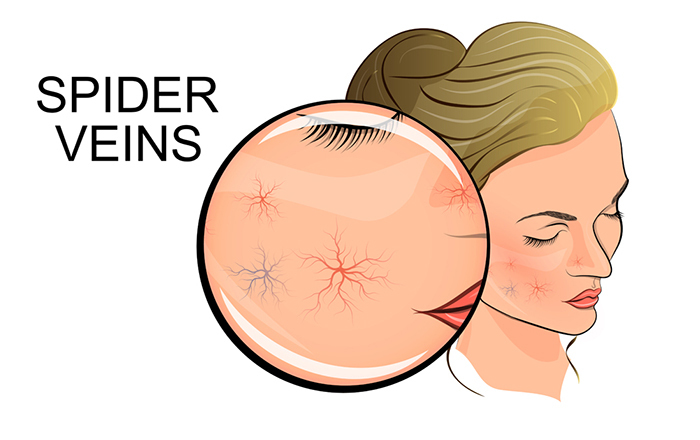 The female hormone estrogen tends to relax the vein walls. But we don’t really fully understand why estrogen promotes dilation of the veins. Varicose veins are usually a genetic disease passed down in family lines. An estimated 30-40% of Caucasians are affected by this disease. Caucasian, Hispanic, and Asian decent all are susceptible. There is less of a problem in African American, and Native American people. In these situations gravity and increased pressure in the abdomen try to force blood back down the leg (retrograde blood flow). Hormonal changes, smoking, and level of fitness also play roles. 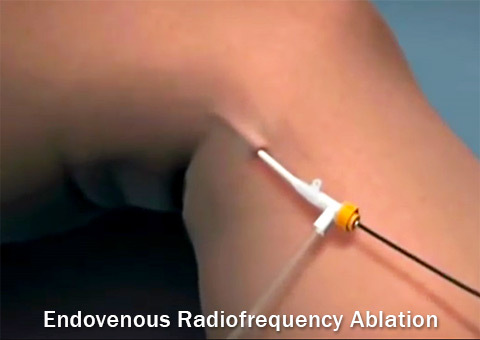 This results in too much pressure for the already weakened vein walls and they begin to stretch like water balloons. This in turn separates the valves and they can no longer protect against backward flow. Unfortunately as more and more veins stretch, more veins downstream will be affected. Thus, varicose veins seem to ‘grow’. As our skin ages, it becomes less elastic and therefore less able to firmly support varicose veins. Also, as we age, our veins can lose their elasticity, causing them to stretch and balloon. And if the one-way valves aren’t working properly, the walls of the veins can become stretched, and the veins can become lumpy and visible as varicose veins. 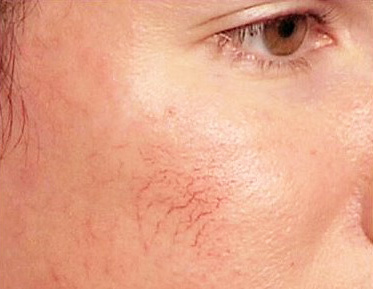 Spider veins (Telangiectasias) are the thread-like red or bluish veins seen on the surface of the skin. They occur most commonly on the legs but are also seen in the face. They are not usually as painful as enlarged varicose veins, but they can still bleed and worsen to the point of becoming large bulging varicose veins. Spider veins occur when the valves leak, blood flows back downwards, and the tiny capillary branches of the veins become overfilled with blood, producing multiple lines and purple discoloration. swelling in the lower legs. This ranges from mild to severe. It may also come and go throughout the day. Women may suffer these symptoms more acutely during menstruation. Spontaneous bleeding: Varicose veins can become very superficial and actually erode through the skin and bleed without warning. Slight injuries such as a scratch can lead to this as well. Stasis dermatitis: This skin condition characterized by brown to red discoloration, itching, scaling, and decreased skin sensation is the result of poor vein circulation known as venous insufficiency. Stasis ulcer: Ulceration usually only occurs when stasis dermatitis has become severe and the general health of the skin is very poor. However, ulceration can occur in people with varicose veins that do not have obvious signs of dermatitis yet. It usually takes months for these to heal and treatment of the varicose veins is usually required to accomplish it. occasional bleeding from a traumatized superficial vein. Compression socks worn during the waking hours. Elevating the legs frequently during the day. A good exercise routine to encourage good muscle tone. A trial of non-steroidal anti-inflammatories such as Ibuprofen. Compression stockings won’t make bulging veins disappear, but may provide some relief of symptoms and help avoid complications and surgery. Support stockings help support the dilated veins, and are put on before getting out of bed in the morning and worn all day. They can be custom fit or bought over-the-counter in drugstores. Insurance companies almost always require that a period of conservative therapy be tried before they will authorize any of the surgical treatments. 1. Greater and lesser saphenous incompetence. These two main stem veins can be distended and the valves can be dysfunctional. 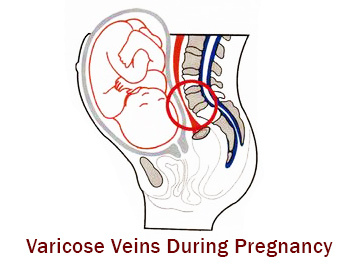 When this occurs the person is likely to develop varicose veins in side branches. Treatment: Endovenous thermal ablation is the latest innovation in therapy for these veins and is quickly replacing traditional vein stripping surgery. 2. Large distended varicose veins. These are the main branches that come off of the main stem veins. These are typically very distended and twisted veins that are often times raised above the level of the skin and are twisted in appearance. Treatment: Ambulatory phlebectomy is a newer treatment that also has replaced vein stripping. This is sometimes referred to as a “mini-stripping”. This is sometimes combined with tying the vein off known as ligation. 3. Reticular varicose veins. These medium size veins make up the complex network that interconnects the larger branches. These can become varicose and discolored blue or purple. They also often feed into areas of spider veins when they become incompetent. 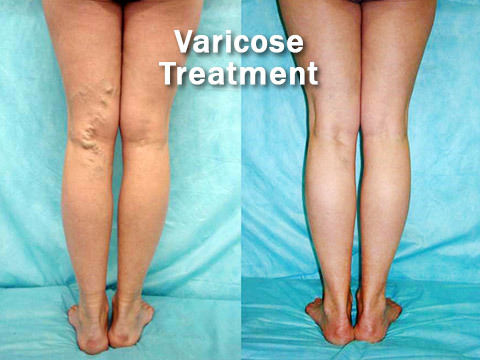 Treatment: Sclerotherapy injections are the mainstay of treatment for this size varicose vein. 4. Spider veins. These are the fine red to purple veins that are usually very small and can look very much like a bruised spot. They can take on different shapes such as fan-shaped, linear, starburst, and spider web designs. Treatment: While sclerotherapy can be very effective for these, laser treatments have become increasingly popular and are extremely effective.